que me vuelvo muy hijoputa si me da......"
y a hacerme un verso que te cagas..."
y colgar un recuerdo de cada azulejo,..."
que duelen como duele el granizo en la espalda,..."
desde k te han cerrao los tejados? 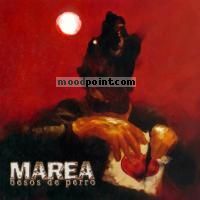 Me limo las u?as no tengo ganas de trepar..."
pero suena tan quebr, suena a ruina y a co,..."
if you want to see other song lyrics from "Besos De Perro" album, click "Marea Singer" and search album songs from the artist page. If you know some new information about Venas Con Humo Y Palabras, or other song from our site, that isn’t already on song page, please let us know, Any refinement, news, or comment is appreciated. If information about Venas Con Humo Y Palabras, or any song from moodpoint directory is wrong, please contact us and write where the incorrect data should be replaced by correct data. Use "Find Lyrics" box on our site, try to use different artist or (and) song title(ex: Venas Con Humo Y Palabras) word forms.